Check the Nioh 2 system requirements. Can I Run it? Test your specs and rate your gaming PC. System requirements Lab runs millions of PC requirements tests on over 6,000 games a month. Nioh 2 was announced at Sony's E3 2018 Press Conference, but not much else is known about the upcoming sequel. 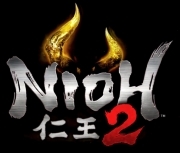 When system requirements details and other information is released, Nioh 2 will be updated.